Back in 2006, AMC was a basic cable channel known mostly for running Clint Eastwood marathons and searching for their own original programming. Matthew Weiner used them as a last resort to get his baby Mad Men on the air after every other network turned him down, and Vince Gilligan did the same when he brought the network the struggling Breaking Bad. Cut to 2011, and those two shows are not just the crown jewels in AMC’s line up, but also the two most critically successful shows in the contemporary televised landscape. Earlier this year word got out that contract negotiations were tense between AMC and Mad Men, ultimately ending with Weiner and company getting a big chunk of change for three more seasons of the flagship drama. That big chunk of change is apparently coming out of other show’s budgets, according to the LA Times. The Walking Dead, AMC’s biggest commercial hit, lost about $250,000 per episode, which some are claiming is the real reason show runner Frank Darabont left. The producers of Breaking Bad, currently renegotiating their contracts for the fifth and final season, are none too pleased with the cutbacks AMC have offered, including a reduced episode order from 13 to 9. Currently, producers are looking to several other networks who would admittedly love to have an established critical and commercial hit on their air waves. Of course, they’d probably want more then one season, which isn’t great for Gilligan and Co. who’ve been planning a 5th season end point for some time now. This is all inside-baseball nonsense, and it will probably end up with Breaking Bad completing it’s run on AMC. But AMC executives should still be a bit worried. They’ve had trouble getting their creative programming up to the same level as their first two series. Rubicon was cancelled after only one season, and The Killing sharply divided fans this past spring, particularly when it comes to the finale. Word of mouth on Hell on Wheels, a revenge Western set on the transcontinental railroad, is very poor. When Breaking Bad and Mad Men leave the air, will AMC remain a place for serious TV watchers to count on for quality programming? Taking Steps – Interview with Actor, Neil Brown, Jr. 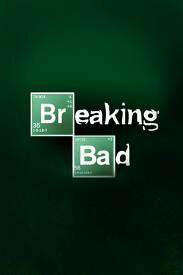 Comments for “Breaking Bad” Might Not Return to AMC are now closed.